It’s all well and good seeing that your website achieves high traffic, but this is only deemed a success if this traffic converts into custom. Without that final step, your website performs well but not in terms of its alignment with your actual business goals. Here, we’ll take a look at some of the steps you can take to improve the technical aspects of your website’s performance, then some ideas of how to break down the road blocks that stop you from achieving KPI-critical success. What is Good Performance for a Website? There are hundreds of metrics to measure when it comes to website performance but not all of them equate to giving your tangible ways to improve. Traffic, bounce rate and time on page are all important in gauging audience interaction, but when it comes down to it it’s conversions that really make the difference. It can be easy to lose yourself in reams of data that appear to show a successful, high-performing website. However, if your engaged users aren’t turning from passive viewers into active customers, it’s not really working the way you need it to. 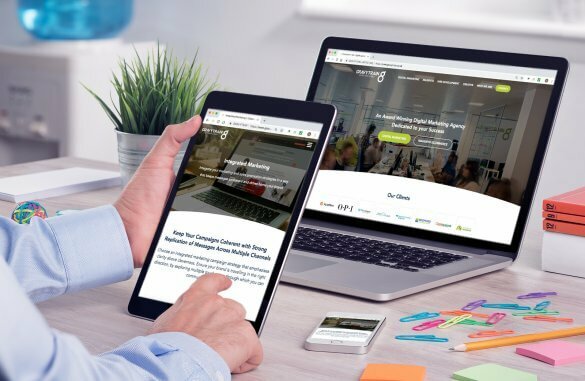 Defining what a successful website means to you is the first step to actually making the improvements necessary to achieve your business goals and KPIs. So, work out and define successes based on your needs, then look at how your website can meet those expectations. How visible are you to Google and your audience? How easy is it for users to use and navigate your website? How easy it is for your visitors to convert? Let’s first take a look at visibility. SEO is one of the most important elements of digital marketing and a well-optimised site will give you the best chances of ranking on Google, which extends to your visibility for potential customers. They say content is king, but it’s not a very successful kingdom if nobody sees it. Using keyword research to create content that is optimised for particular phrases will give you the opportunity to fill in the gaps in terms of delivering relevant content. You can also go back through your website and optimise existing content that may have previously been overlooked. Adding in keywords, rejigging layouts and formatting, and ensuring your headings are correctly laid out can all have a profound effect on your visibility. In terms of the more technical elements of SEO, making sure your backend is set up to be seen by Google is vital (e.g., image alt tags, correctly written meta data). Often you will require a SEO audit in order to see where you might be falling down and identify ways to improve. It’s not just SEO that benefits from optimised content, your PPC efforts can be in vain if you’re not delivering what was promised in the ad. If you pay a lot of money for well-written, targeted ads then you deliver your audience to page that does not reflect the ad copy, the likelihood is that the user will click away from the page to search for more relevant content. The messaging and imagery need to be cohesively displayed across your whole campaign if it is to be received well by your target audience. Try creating dynamic landing pages that you can link to directly from your ad. Or, you can duplicate existing content to be optimised for your ad’s keywords – just make sure to place a “no index” or disallow within the robots.txt file. Another SEO technique that is widely-believed to be one of Google’s main ranking factors (you never can tell, Google like to keep their cards annoyingly close to their chest) is creating a strong backlink profile. This means getting trustworthy, authoritative websites to link back to your website. This can be done in the form of guest blog posts, press releases, and highly-relevant on-site content. The more high-quality backlinks you have, the higher your domain authority and the more relevant Google will consider you in regard to your industry. If your website sells beauty products and you get a link from Glamour.com, this is a high-quality link. If you get a link from a random website that is not affiliated with your industry, it becomes a low-quality backlink. PR and outreach strategies can work hand-in-hand with backlink strategies, so be mindful of how far-reaching each piece of content could be. 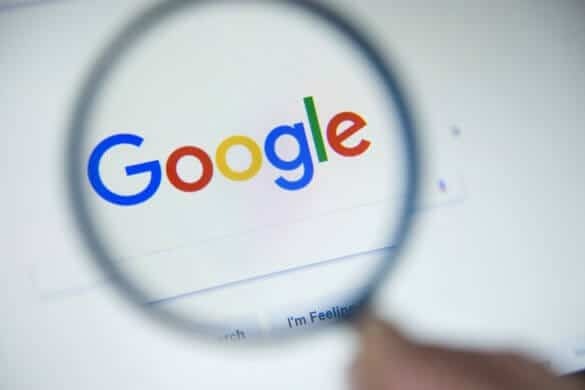 Ok, so we mentioned before that traffic does not necessarily equate to business success, but it can give Google an idea of how effective your website is at delivering on its promise. Having an engaging social media presence that creates a buzz around your brand and leads people on to your website (traffic) will tell Google that people are being influenced and entertained. If you tweet a piece of content that gets 1000 retweets, Google will consider it a significant and interesting piece of content, therefore rewarding your website with improved rankings. Social media is obviously not just a tool for SEO. Oftentimes, potential customers will search for a brand or company on Facebook, Twitter or Instagram before they look for the actual website, meaning that a well-maintained social media presence can help underpin the authority of your website. Having an aesthetically-pleasing website with all the bells and whistles is one thing, but are all these extra little bits making your website easier or harder to use? Most audiences have a short attention span, so if you don’t deliver a website that is easy to navigate, they will leave. So, how can you improve usability? Mobile-first web design is a big deal for user experience (UX). A website that promotes a good UX will seamlessly move from desktop to mobile without losing any of its integral features. Responsive design may have been a buzzword a few years ago, prompting most website to rethink how they are seen on mobile devices, but there are still companies out there that don’t have responsive sites. In 2015, Google made some recommendations regarding responsive web design and started to rewards websites that were optimised for mobile. Then, the following year, mobile web browsing overtook desktop, demonstrating that Google’s predictions matched up with user behaviour. Without responsive design, the user experience will not be uniform across devices and resolutions, decreasing engagement. We’ve all heard the statistics: if your website takes longer than 2 seconds to load, the chances are that the visitor will leave. Page speed can have a direct influence on bounce rate and conversions, making all your off-page SEO and PPC efforts inconsequential. A content delivery network is a way of linking static content on your website to a larger network of servers around the world. This means that your website will cater to localised audiences which will add a kind of personalisation to the way your website is delivered. International businesses that cater to many different global demographics will have their website loaded from the nearest server to your user, complete with compressed files that can be quickly loaded. If a CDN isn’t on the cards for you right now, you may want to look into browser caching, which stores specific files in a cache for quick delivery. The main aim of your website, aside from the obvious promotion of your business and services, is to get people through the virtual door. There are many ways you can help bring about an easier conversion process for your users. Calls-to-action are touchpoints for your users. You can define the call-to-action based on the conversion goal, which then lends itself to the overall usability of the website. For example, your KPIs might be based on how many customers fill in your contact form. In this instance, you would need to ensure that your calls-to-action reflect this. You can place a contact form in the footer of each page or perhaps in a side column next to a piece of content. 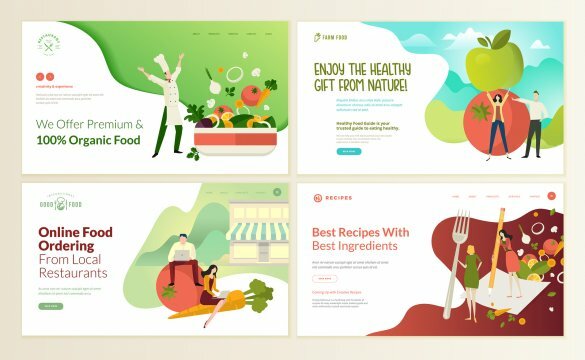 Experiment with placement, colour and style, use A/B testing to see which layouts inspire the most conversions, and then deploy the most successful of these ideas. Almost all markets are saturated these days. Whether you run an established business, or you have just been crowdfunded for a start-up venture, the likelihood is that you will be competing with a multitude of other business. What makes your business better than the others? You may know the answer to that question, but your potential customers don’t. Is your website clearly displaying the customer value proposition (CVP), and is it effective at driving conversions? It should be clear to the user as soon as they land on your page a) what you do, b) why you are a good choice for them, and c) how can they get in touch and start their journey with your business? Your CVP can be anything from a clear and obvious way of explaining your business, to a less obviously tangible, more existential phrase. For example, Tortuga Backpacks has a clear CVP immediately visible above the fold on their homepage. It says: “Bring everything you need without checking a bag.” This tells us immediately exactly what they do, as well as their USP – their backpacks are the big enough for you to take all the things you need when travelling, but small enough to fit in the overhead locker on the plane. Conversely, video hosting website Vimeo uses “Make life worth watching”. This gives the user a good idea of what the website is about (combined with the images and aesthetic of the page) with a somewhat philosophical phrase giving a more poetic feel. The placement of testimonials and trust badges on your homepage can have a big effect on whether your user chooses to make that click to convert. You can promote yourself through copy as much as you like, but having official accolades strengthens your core message and gives your users a chance to see what others think. Incorporating reviews from platforms like TrustPilot or Feefo underpins your authority as a business as well as demonstrating how people have engaged with you at various points in the customer journey. You can also set up your reviews to show as part of your meta data on SERPs (search engine results pages), thus strengthening your SEO as well. You can conduct A/B testing to decide whereabouts on the page you should display your badges and reviews. Usually, it makes sense to place them near to a call-to-action, giving the user that final push they need to convert. We can help you implement a number of changes to improve your website and help you hit those all-important KPIs. Contact Gravytrain today to start your journey towards a more profitable business.